Looking for a way to stay warm in bed this winter? Why not snuggle up with a yutampo, or a refillable hot water bottle that's really helpful for surviving the cold season. This article will feature how to safely use a yutampo to make your slumber a little more comfortable. 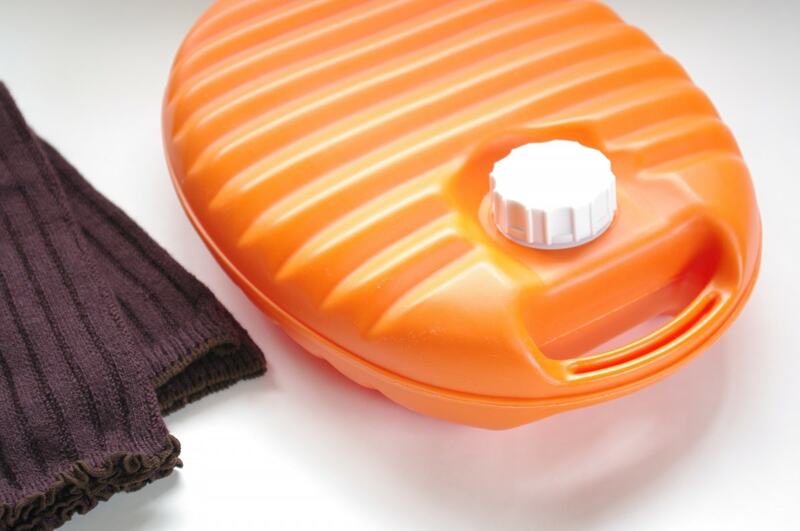 If you're looking for an economical way to keep warm this winter season, you've got to get your hands on a Japanese hot water bottle, or yutampo. This Japanese "hottie" comes in a variety of shapes, sizes and materials, and—because it's Japan—pairs well with either practical or adorable covers. Although a soft rubber hot water bottle might be common in your country, flat and oval-shaped yutampo made of hard plastic are more common in Japan. Even if you're not well experienced in using them, the plastic model may suit you because of the ease of handling and purchasing. Furthermore, for novices, they are safer than metal ones. Temperatures over 80°C are too hot for your yutampo. Completely fill the bottle with clean hot water to avoid deforming the bottle's shape. Clean tap water is ideal for your yutampo, as opposed to previously used water such as the remaining hot water in a bathtub. Without a cover, it’s dangerous to use a yutampo because they could cause burns more easily. Cute language aside, if your legs or other body parts touch your water bottle during the night, it could result in a thermal burn, even with a cover on the bottle. Well before you sleep, place the bottle under your blanket or duvet and let it warm your bed or futon up. When you're finally ready to slip into bed, pull your hot bottle out from the bed and leave it on top of your covers. The recommended place to put your yutampo is under your blanket where your feet or hips will eventually rest. But, again, remember to take it out of the bed before getting comfortable. After using your yutampo, drain the water thoroughly and let the inside dry. If properly cared for and kept in the shade when not in use, they can generally last you anywhere from three to four years.